Why choose Ken Sigelman to pursue your birth injury case? Some birth injuries are caused by improper medical care during pregnancy, labor, and delivery, or immediately after birth. A disabled child and his/her family have the right to know what happened and why. If your child’s injuries were caused by medical wrongdoing, it takes a birth injury lawyer with special knowledge, experience, and commitment to achieve justice and obtain fair compensation. The law firm of Kenneth M. Sigelman & Associates, based , possesses all of these traits and has developed a formula for success that has worked time and time again in representing disabled children and their families. Explaining the medical issues in clear, easily understandable terms to the jury at trial. Ken Sigelman has been handling cerebral palsy and other birth injury cases for more than 17 years. He has personally litigated many cases to successful conclusion through jury trial, arbitration, or settlement, including numerous recoveries of more than $1 million. 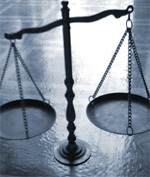 Medical malpractice cases are often very difficult to win on behalf of the patient and family. Only with careful, skillful preparation of the entire case is there any likelihood of a favorable result. Unless lawyers have a track record that demonstrates the willingness to take a case all the way through trial, and the ability to win at trial, insurance companies will rarely make reasonable offers to settle out of court. Ken Sigelman’s philosophy is that the only way to persuade the insurance companies to treat disabled children and their families fairly is to always prepare vigorously, with the assumption that every birth injury case could go to trial. Ken Sigelman is absolutely committed to seeking justice and obtaining fair compensation for the children and families he represents. Initial consultations are always free of charge. If Ken accepts a birth injury case, attorney’s fees are on a contingency basis. Fees are owed only if you win, and are based on a percentage of the money recovered. In cases involving children, the court generally must approve the birth injury lawyer’s fees as fair and reasonable. The insurance companies that defend doctors, hospitals, or HMOs are willing to spend virtually unlimited amounts of money on high-priced lawyers and expert witnesses to defeat your child’s birth injury case. Ken Sigelman commits all of the resources necessary to keep the playing field level, even if it means spending $100,000 or more to prepare the case as strongly as possible. The final, and perhaps most important, aspect of commitment to clients is compassion. Raising a child injured at birth takes a heavy toll on the entire family. Ken Sigelman and the entire staff at Kenneth M. Sigelman & Associates understand, empathize with, and deeply respect the emotional and financial sacrifices required of families under these circumstances. Our job is to do everything possible to assure that your disabled child’s special needs will be provided for over his/her entire lifetime. To arrange a consultation with one of our birth injury lawyers, please contact our firm today! Ken Sigelman stands out from other birth injury lawyers because he is also a licensed physician. His firm, based , has the knowledge, experience, and commitment to pursue your birth injury lawsuit to the fullest extent possible.